‘Namma Veetu Kalyanam, the popular show that showcases celebrity weddings, would feature the shows anchor Shilpa’s wedding this week. So far the show has featured popular couples of Tamil Film Industry like, Surya-Jyothika, Sowndarya Rajnikanth – Ashwin, Director Bhagyaraj –Poornima and many others. This week on Namma Veetu Kalyanam on 25th March, Sunday at 1730 hrs the wedding ceremony of Shilpa and Bharath will be aired. 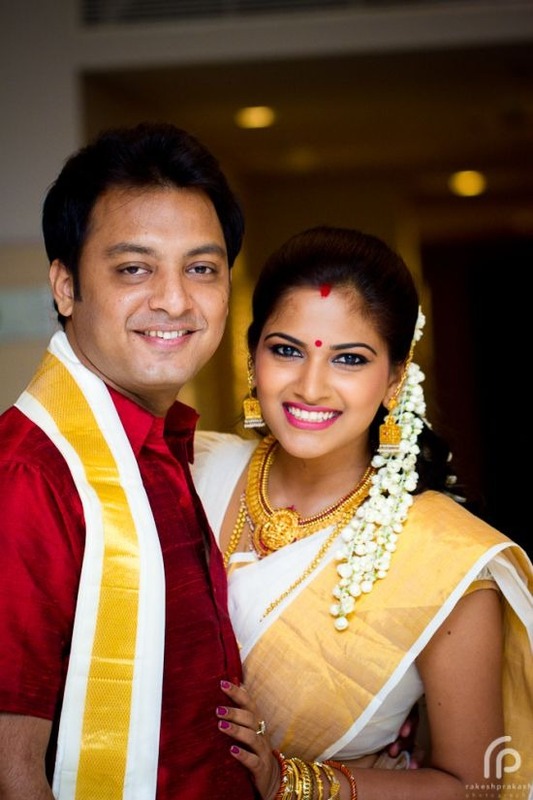 Shilpa has been anchoring Namma Veetu Kalyanam for more than 150 episodes. The wedding was held at Indore, reception at Chennai and Kerala. Popular television stars graced the occasion. The episode would also feature the ceremonies and specific customs that were followed and performed during the wedding, the visitors and celebrities who came to bless the couple. Tune in to ‘Tanishq Namma Veetu Kalyanam powered by Gold Winner’ on 25th March 2012, Sunday at 1730 hrs only on Vijay TV.